I like it because it encapsulates a simple truth that we tend to forget all too easily in our times, which is that class-defined lifestyles do disable us from understanding the needs and wishes of other classes. We may think we have enough empathy and sympathy to imagine ourselves in other roles than ours, but there is really no substitute for the realities of class conditions. This humble truth is clouded further in our times by the fact that we have reduced democracy to a matter of elections. In Malaysia, policymaking and policy statements are clothed in clichés and condescension, while scoring points have become the major concern of politicians. This happens whether there is an election coming up or not. Winning votes — meaning the buying of votes by populist means – is what democracy has become. And this seems to be a global trend. Is democracy as an ideal reaching its limits? I hope not. What becomes of democracy depends greatly on what people want it to be, and on leaders aiming beyond their own immediate interests. The “eat cake” story is important in that it reminds us in stark fashion that democracy is really about developing channels of information and negotiation between citizens and their governments — at all levels. The advancement of democracy is therefore not only about the electoral system as such but improving the quality of governance — something that can only progress through sustained and sincere dialogue between the civil service and politicians on the one hand, and citizens in all their various organised forms, on the other. The “I know better” form of leadership has its time and place, and to the extent that it works, it paradoxically spells its own gradual irrelevance. It succeeds by making itself unnecessary. To be sure, knowing better on the part of leaders often means keeping the electorate ignorant and simple-minded. How sorry is the case where the leaders themselves are ignorant and simple-minded to start with. It is not even controversial any longer to say that whipping up racist and religious sentiments is simply the retaining of power through a desperate appeal to our basest instincts. But I suspect it is now a mode of damage control, a tactic chosen when one is retreating. And yet, that was how Malaysian politics began, through a broad acceptance of racial notions as the fundaments of nationhood and societal organisation. What Malaysians should thus consider is that the retreat was not theirs, but that of the British colonialists. Their hasty retreat required their former colonies to be conservative in nature. And it is their damage control that determined how countries like Malaysia would function. Almost 60 years down the road, Malaysian politics is still tied to tactical notions of state- and nation-building suited for short-term ambitions. The Second Malaysia Plan, in introducing the New Economic Policy, did try to change the equation. But this failed at some important levels, and notions of ethnic exclusivism continue to configure political thought in the country. In fact, these have become stronger since the Asian Financial Crisis of 1997-98, and more so since the retirement of prime minister Tun Dr Mahathir Mohamad in 2003. Over time, and in response to world events, the exclusivist baton has been passed from ethnocentrism to religious fundamentalism. In effect, the interfaces where nation-building can happen have shrunk greatly, and instead elements that enhance ethnic separation, tolerated and encouraged by an insecure government that has discarded its initial role of being a nation-builder, have become stronger. In stark terms, nation building in Malaysia ended a long time ago. The “eat cake” attitude has become widespread, often clothed now in religious garments. What it boils down to is the growing adoption of an unwillingness to accept difference; and worst, to consider difference as a weakness and abomination. It is in opposition to this disturbing trend that more and more Malaysians are speaking out in realisation that they have let things go too far, that they have left too much to be done by the government and that in fact, they themselves have abdicated their own role in the gradual developing of responsive and responsible governance. Many were bribed by the profits of racialism and the smugness of religious righteousness. In that sense, perhaps Malaysia today is simply going through what is an arduous transition away from the profounder shackles of colonialism. It is perhaps time for a proper dismantling of deep notions of rights and exclusivism that were sold to Malaysians many years ago, to benefit a few. 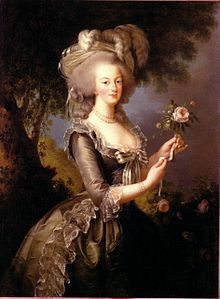 It was not for Marie Antoinette in the story to say, “Let them eat cake”. And the rebels should not have had to be in such a position that their voice could only be heard if violence was exercised. The difficult beginnings of modern democracy should teach us the lesson that good governance is a goal that can be achieved only through the institutionalisation of systemic inter-class communication, and that this veritable process is all too easily waylaid by exclusivist ideas based on race and religion.